A passive fund does not try to beat the market. It creates a portfolio that exactly reflects the index (Nifty or Sensex) and tries to perform like the index. Did you know that two of the largest fund managers in the world manage over $10 trillion between them? That is roughly 4 times the market capitalization of the entire Indian stock market. While Blackrock manages over $6 trillion, Vanguard manages over $4 trillion. What is even more surprising is that both these are essentially passive fund managers. So, what do we understand by passive investing? To understand passive investing, let us first understand what is active investing. When you invest in an equity diversified fund the fund managers take decisions on what stocks to buy and what stocks to sell. The idea is that, with the expertise of the fund manager and the team, the fund will be able to generate more returns than the index. On the other hand, a passive fund does not try to beat the market. It creates a portfolio that exactly reflects the index (Nifty or Sensex) and tries to perform like the index. This is called passive investing. Two of the most popular forms of passive investing are Index Funds and Exchange Traded Funds (ETFs). So, what are key merits of passive investing? It is much easier to predict how an index like the Nifty or Sensex will perform over time rather than how a fund manager will perform over time. When it comes to the Nifty and the Sensex, there is a history of returns over a period. You know that these indices have certainly created wealth over longer periods of time. For an investor looking at the predictability of returns and wealth creation, this becomes a more palatable choice. This is one of the principal reasons why investors prefer passive investing in other countries. In the US, it was observed that 80-85% of the fund managers failed to beat the index. In capital markets, this is called the Efficient Market Theory. As markets become more informed and technologically savvy, most of the information about a stock is in the price. Hence, the index and the market price tend to reflect everything; well almost. This is another angle to the passive investing debate. John Bogle, the founder of Vanguard Funds, has consistently pointed out that the percentage of fund managers outperforming the index is very small. But that is not the problem. The real problem for investors is that it is hard for them to figure out which fund managers will outperform the market. That becomes a double whammy for investors. Firstly, most fund managers are not able to outperform the index. Secondly, there is no scientifically proven method for investors to estimate which of these managers will outperform. That is the dilemma! One of the big advantages of passive investing is that the costs in a passive fund are much lower compared to an active fund. You will be surprised to know that the difference in cost often leads to the passive fund outperforming the active funds. Look at the illustration below which compares an Active Fund and a Passive Fund. While the Active Fund NAV grows annually at 14%, the passive fund NAV grows annually at just 12%. However, the expense ratio of the active fund is 2.5% while the expense ratio of the passive fund is 0.50%. 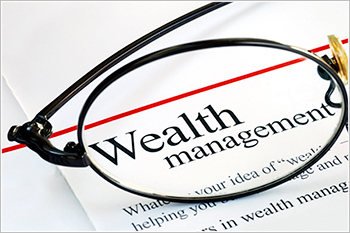 What is the impact on wealth creation at the end of 8 years? The wealth creation of the two funds presents an interesting contrast. Despite the active fund generating 2% additional returns each year over the last 8 years, the wealth creation at the end of 8 years is higher in case of the passive fund due to the lower expense ratio on the NAV. In fact, the expense ratio is one of the key reasons why passive funds tend to outperform active funds quite often. Last, but not the least, passive investing makes a much better fit into financial planning. Your financial plan is all about future goals and that means you are projecting your future fund requirements. An investment plan is designed to bridge this gap. When you are talking about long-term goals, your obvious preference will be for funds that are more predictable in their performance over a longer period of time. When you monitor your financial plan, you have enough variables to worry about. The last thing you want to worry about is fund manager performance. In India, passive investing is still to pick up in a big way. That is partly because of the absence of sophisticated index products and also because there are still Alpha opportunities in India. But passive investing is surely an idea whose time has come!